First time home buyer programs-grants are available, yet sometimes not so easy to find. Here we will give you some information that will set you on the right path to discover what’s available. What benefits do the first-time home buyers enjoy? Now it is a popular time to be a first-time home buyer. Not only because you can access special financial programs and grants, but the process is less stressful. Many people who fall into the group of first-time home buyers are quite proud & excited to be here. Also, they finally have an opportunity to improve their living conditions and buy their first real estate property. Exclusive programs and grants are designed just for them. Moreover, such programs have already been tested and proved to work to the benefit of Canadians. Canada is one of the countries where the government offers a variety of programs to support first-time home buyers. The popularity of the City of Calgary is growing. More and more people are viewing Calgary as one of the best places in Canada to live in. Also to conduct their business in at the same time. Therefore, the government is extremely proactive in the area of real estate ownership. It offers a variety of programs for people belonging to various groups. Below are a few of them for you to consider and see if you qualify with any of these programs. The rules are a bit different if you are a person with disabilities. As well, if you are buying the house for a relative with a disability. In this case, you may not be a first-time home buyer. However, it is a must that the house acquired is a suitable place for the physically challenged person. Plus, the conditions meet exactly the needs and physical condition requirements of that person. If you apply to this program, your HBTC will be calculated as follows: the lowest personal income tax rate for the year will be multiplied by $5,000. This RRSP tax credit program is for those who acquire their first home; who have not themselves nor their spouses used this program previously. LTTR applies to those who buy land or interest in land. It means that first-time homebuyers on a qualifying house purchase can get a refund of all the tax or a portion thereof. There are some restrictions as to those eligible for the tax refund. First, the person has to be over 18 years of age. Then, the home being considered must be his/hers principal place of residence. Also, the person can not currently own a home of this type. There are two ways to claim an immediate refund. You can do it either via mail or electronically. The maximum amount of refund you can receive is $2,000. On the Internet, there are multiple resources that list the complete package of documents you need to claim the refund after registering. Only first-time home buyers are eligible for the HBP. You must produce a written Offer to Purchase to buy or build a home in order to qualify. The qualifying home must be your principal place of residence. In the case where you build or buy the home of a person with disabilities, the house must be the principal place of residence for this person. All above-mentioned programs have their peculiarities, restrictions and eligibility conditions. Therefore, to be on the safe side and make sure to act according to the law, you should always consult a professional. Either a mortgage broker or a Realtor will be able to assist you with all the details and make the experience smoother and easier. Grants, as well as available programs for first-time home buyers, make it a lot easier and more exciting. 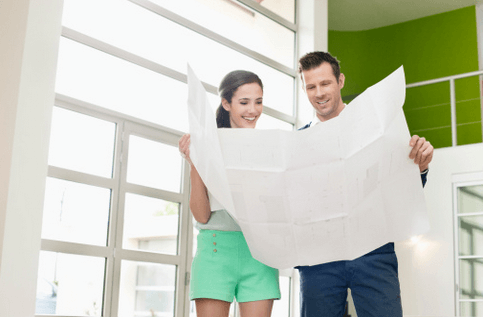 To make this dream happen, potential homeowners have to digest an enormous amount of information, rules, and regulations on how to proceed for refunds and/or grants. What are the institutions that help you buy your first home and promote the values of first-time home buying? First of all, it is the governments of Canada – both federal and provincial. Each year they attempt to establish new and improve the existing programs and grants available to the citizens of Canada. It is very important to use updated, reliable sources to keep you updated at all times so as not to cause any unexpected misunderstandings or loss of monies in the future. Another tip for you – if you are hesitant about choosing a program or you are not sure about the eligibility for it, contact a local Realtor. This person knows the latest regulations and any peculiarities such programs and grants offer and may have. This way you will avoid wasting countless hours on the Internet, Googling for the provisions and rules each program offers. Your Realtor will give you all available information and assist you through the complete process. Probably the most worrisome question for all first-time home buyers is when and how much will I need to pay for my new home? In fact, one item to be aware of is if you receive the first-time home buyer credit for a home purchase, (RRSP withdrawal) you will have to repay it back into your RRSP program over 15 years. If not, you will have to pay income tax on the portion not repaid. Also, if you are dealing with the first-time home buyer credit, make sure you fill in all required documents and reports, send them to the corresponding offices on time. 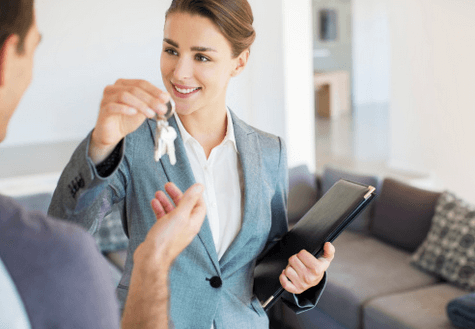 Even when you are doing everything on your own, do not neglect a simple consultation with a Realtor who can give you directions and valuable tips on how to make your purchase of a lifetime less stressful and more exciting. It is the perfect opportunity to own your first home at an affordable price. Moreover, there are different options for your repayment – so that everyone will find the most suitable plan that works for them. The eligibility requirements are quite simple, and what is more important – very fair. The first-time home buyers can manage their retirement funds in order to acquire real estate property of their own. 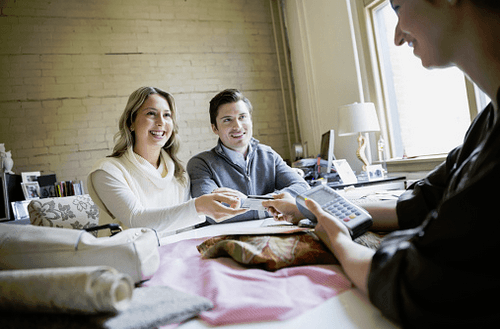 In fact, the versatile repayment options and rebates are a great stimulus in themselves. Also, the preferred location of Calgary, its infrastructure, and business environment play a great role in the growing number of first-time home buyers. Safety and reliability of government programs is one more factor that adds up to one reason why people are attracted to own real estate in Calgary. All in all, it has become highly popular to join the team of first-time home buyers and enjoy the stability and preciousness of home ownership. If this is your dream – contact Ron Christensen of Royal LePage Solutions today, to assist you in your home ownership dream.